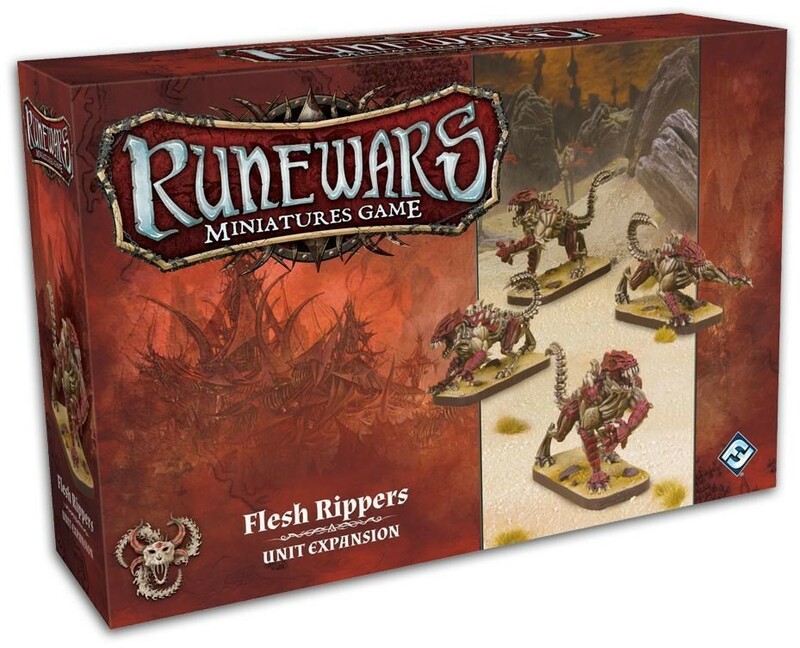 Tear your enemies to shreds with the Flesh Rippers Unit Expansion for Runewars Miniatures Game! The locust swarm of the Uthuk Y'llan Army calls upon dark forces to exact revenge on the people of Terrinoth. 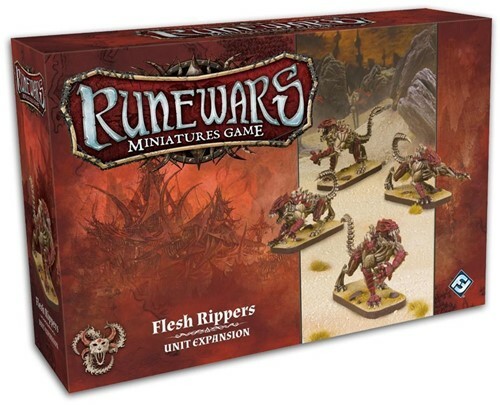 The Flesh Rippers Unit Expansion features four plastic figures, a collection of tokens, and five upgrade cards to further strengthen the demons of the Ynfernael.